Honey dippers have never been so easy. Now you can drip honey in the perfect amounts in your tea and on your foods. 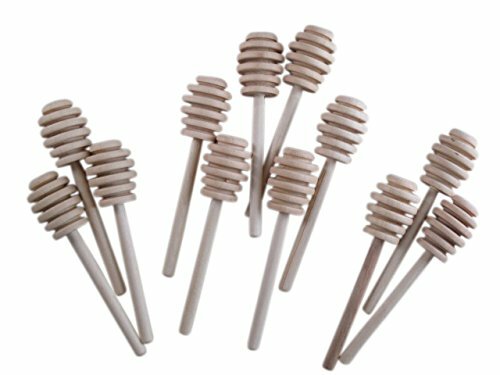 These 4 inch dippers give you the right amount of length to easily pull honey from the jar to add to your tea, drizzle over your food, or simply eat right from the stick. With the five pack you can do this many times over! Woodpeckers Quality Wooden Honey Dipper Sticks for one low price! perfect size for use with jars from 1 ounce to 5 ounce in size. Great for packing with your own home made honey, wedding and party favors, and more! Can be used to dip molasses, maple syrup, fruit syrup or any other unctuous, stretchy food.